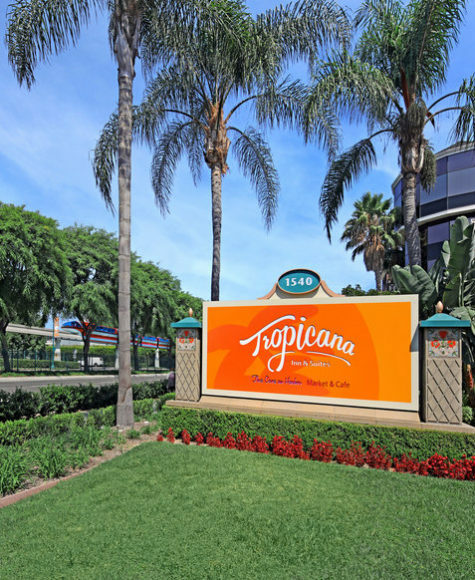 Welcome to the newly renovated Tropicana Inn & Suites, the perfect choice for your Southern California vacation. 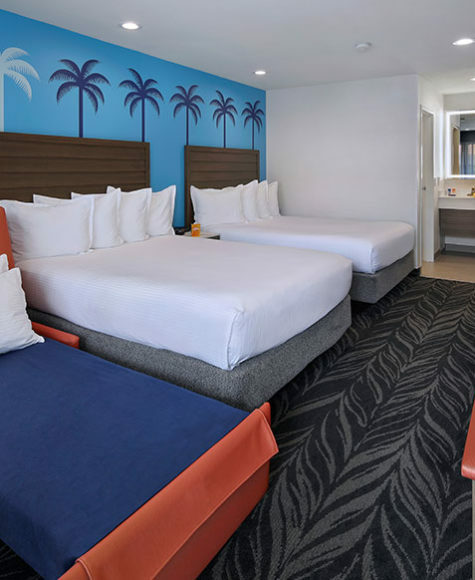 Ideally located adjacent to the pedestrian walkway to Disneyland® Resort and Disney California Adventure® Resort, we are just a short 5-minute walk to the main entrance of both Parks. 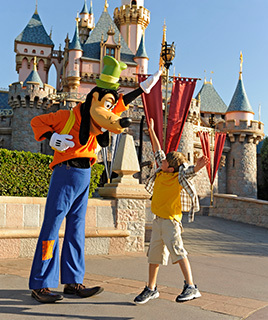 As a designated Disneyland® Resort Good Neighbor Hotel, we pride ourselves on excellence in customer service. Our attentive Guest Service Agents are eager to assist each and every guest to ensure an enjoyable and memorable stay. 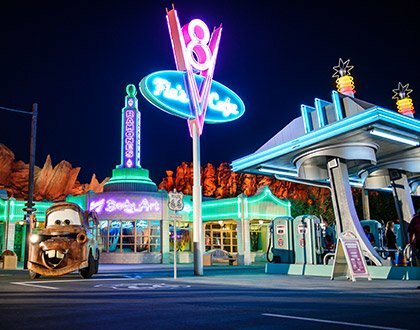 We love the location, just right outside the main entrance to Disneyland! We also love the newly renovated room, very clean and spacious. We will definitely come back and this will now be our favorite place to stay in while in Disneyland. We stayed here for our Honeymoon and it was AMAZING! Such great service, prices, and the rooms were phenomenal! Obviously a great location for Disney, but also central location for travelling all over CA. Huntington Beach, Santa Monica, etc etc. We 100% intend to come back and stay here when we come to CA!! Stayed here many, many times. Never once have I been disappointed! Customer service is excellent and the rooms are always perfect!! Keep up the good work. We won’t stay anyplace but Tropicana! From the moment you pull in and are greeted by valet you already feel welcomed. 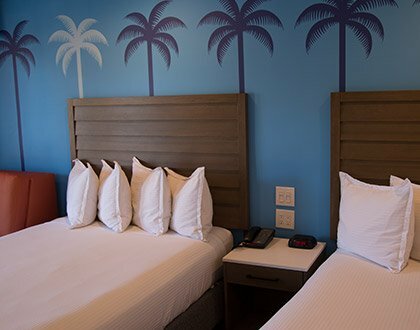 The new remodeled rooms look amazing, beds and pillows are perfect! The staff is always great too! Also can’t beat the location either. Tropicana will always be my go to hotel! 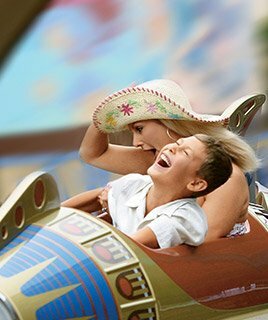 For over 60 years, our family-friendly hotel has offered all of the conveniences and comforts of home. 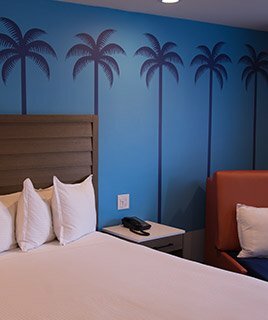 Guest rooms and suites are equipped with microwaves, mini refrigerators, complimentary Wi-Fi and in-room safes. 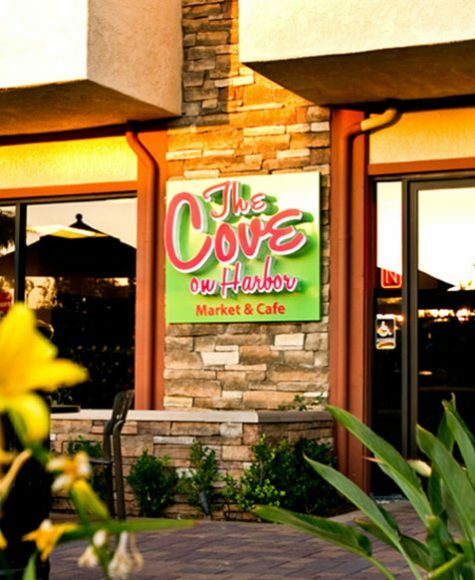 The Cove on Harbor, our quaint coffeehouse and minimarket, stocks fresh produce, cereal, artisan pastries, craft beer and wine. Our Mediterranean themed property features a tropical exterior with a heated oversized pool and Jacuzzi, providing guests a relaxing atmosphere after a fun-filled day. 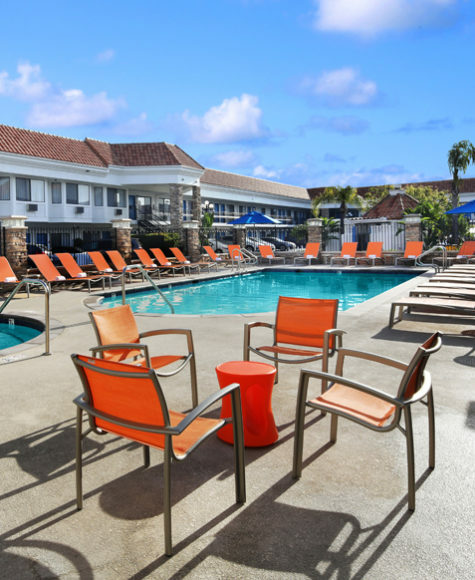 The Tropicana Inn & Suites offers the utmost in comfort and convenience. 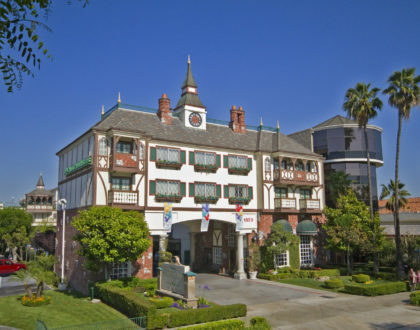 Take advantage of your time in Orange County by exploring all the great attractions in the area!